This entry was tagged calendar customs, folklore, medieval. J. Anderson Coats writes historical fiction for young adults chockful of name-calling and petty violence. 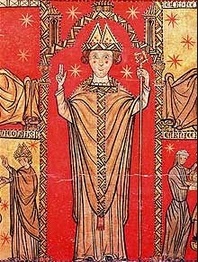 THE WICKED AND THE JUST (Houghton Mifflin Harcourt, 2012) is about teenagers behaving badly in thirteenth-century Wales. Wow. It’s interesting how many “topsy-turvy” holidays there were. All these days of “kids rule” and doing nothing seem to say something about how repressive and difficult life must have been, don’t you think? True. You’re definitely right about order, and the need for release. What a strange variety of holidays (especially the confusing aspects of Holy Innocents Day). I’ve gone to a celebration called “The Boar’s Head” at the end of December, but it’s definitely a warped version of the medieval holiday you describe above. There’s a lot of singing, caroling, and dressing in Renaissance Faire-like clothing. It was cool to read about the real origin story! Thanks! This is the exact carol with which the program opens–the carolers process in with the verse, and the congregation repeats the Latin refrain. I guess the program is a mash-up of the original and more modern carols (http://www.boarsheadcleveland.org/tradition.html). 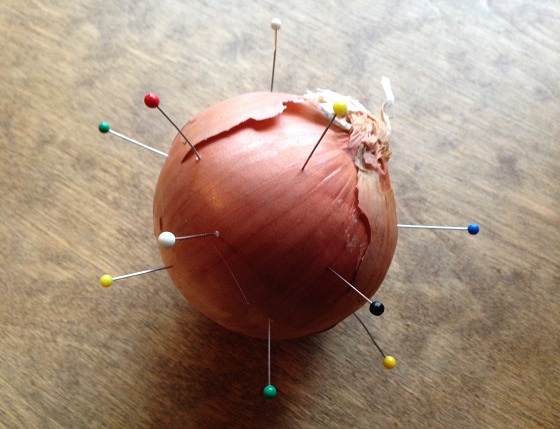 If I stick my husband full of pins, will I dream of onions? Just curious.